Prime Parking Lot 1. Parking at Comerica Park or Ford Field for Detroit Lions and Detroit Tigers games doesn't get much more convenient than at 561 Gratiot Ave. Lot 1 is a hop, skip, and a jump to the Suite Holder's entrance (Gate G) at Ford Field and just two blocks from Comerica Park. 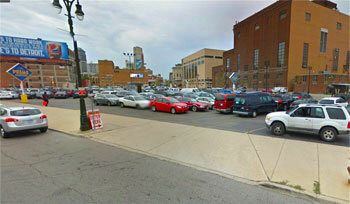 This surface lot offers quick, easy access to highways after the ballgame or concert in downtown Detroit. NO TAILGATING at this Lot. Lot is staffed before and during all events. No Tailgating at this Lot.